A week from today, I will be training with Creative Results Management & Dr. Keith Webb in Seattle learning more about the COACH model of Coaching. I can’t begin to tell you how excited I am about this opportunity. This type of training is going to expand my ministry and allow me to help people experience real transformation. What is Coaching? Coaching is not just for football and other sports. 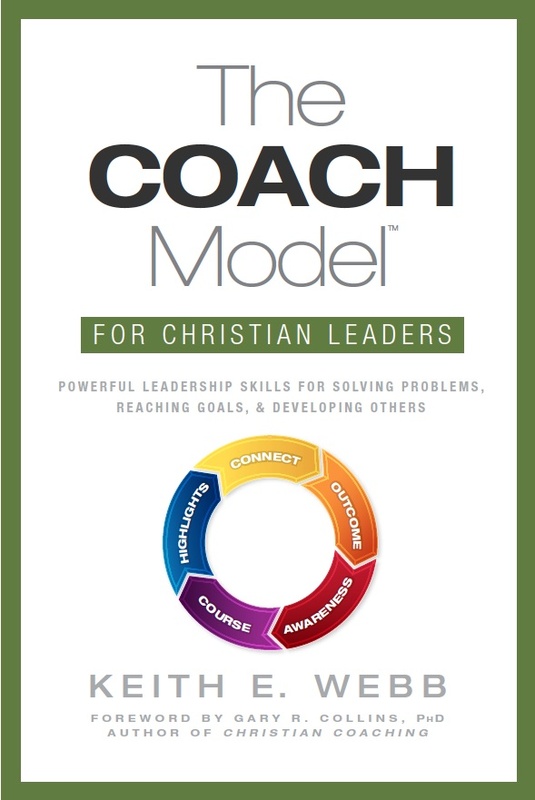 Coaching as Dr. Webb defines it is “an ongoing intentional conversation that empowers a person or group to fully live out God’s calling.” Coaching can be used in the church, in our families, and even in the corporate world. As I have looked more into Coaching, I have determined that the Coach helps the Coachee get “unstuck.” Too often in life, we become fixated on certain things and have difficulty seeing life or choices from different viewpoints. The Coach steps in to help the Coachee see things in a different light through the use of powerful questions. Since experiencing transformation in my life, I have desired to help others experience the same. I have struggled with how to do that until I found the COACH Model. This simple, but powerful approach is going to give me the tools to help people move forward in their personal and professional lives. The Healthy Life is one that continues to focus on learning. As a minister of the gospel, I am required to study on a weekly basis. I must prepare sermons, lessons, and even blog entries. However, study alone doesn’t cut it. I must work beyond the need to absorb and then share. I must learn and let those ideas be absorbed into my life. I must desire to grow continually, so that God can use me in even greater ways throughout my life. It is said that if you read one hour per working day for seven years, that 1820 hours of reading will go a long way to helping you become an expert since most of your peers won’t even read half that amount. Now, we don’t necessarily have to be experts in anything, but image what God could do with that much gained knowledge. Just going through a single training will not make me a COACH. However, committing to learning will take me over the edge and I will be able to leave a bigger impact on this world. Check out Dr. Webb’s book on Amazon.